However, and this is where I believe the ‘new-atheists’ do not understand the ramifications of their conclusions, if every decision is pre-determined then in what sense can we be utilizing ‘critical thinking’ or ‘rationality’? Any path of logical thought that one travels down, whether it leads to atheism or theism, is utterly pre-determined by the universe, since there is no way to transcend and somehow check perception against fact. Every justification, every reason, every intuition is a result of cause and effect, regardless of if it is true or not. Thus, on what grounds can theists be called ‘irrational’ if they have no choice but to believe that God exists? One cannot even use rationality if such a worldview is true. One would think that this would be cause for sober reflection in the camp of the ‘Brights‘, but as far as I can tell it has not. This should be of no surprise, for such flippant disregard for the logical consequences of ‘the death of God’ are usually of little concern for most in the new-atheist movement, or so I concluded while I was still amongst them. It would often frustrate me that people who would tout moral relativism would become so worked up over ‘human rights’, as if such concepts had some actual substance. If morality has no ontological grounding, then arguing whether one’s rights are violated is no more inane than being upset that someone prefers red over blue, pink over purple, or, shockingly, the Red Sox over the Yankees (frankly, I shall die a Hartford Whalers fan). It is, after all, a zero sum game in which all our precious concepts are nothing more than the left-overs of a Christian culture that have perversely become the grounds for an anti-Christian culture. And that brings us back to free will—for that matter, all metaphysical values. Atheism cannot provide one with morality, existential purpose, and most certainly not freedom. Our culture, as David Bentley Hart most poignantly points out, has a nihilistic concept of freedom, that to will over the void is an act that is good in and of itself, and that all our values comes from this exertion.5 This stands in contrast to how freedom was traditionally conceived, that one was to use their will to fulfill their telos (purpose), to do that which was good, which for Orthodox Christians is union with the divine. One often sees the new-atheist movement pitching concepts such as ‘freedom from religion’, ‘determining one’s own purpose’, ‘not being a slave to dogma’, etc., but if there is no free will then what is the appeal? What dogma can I possibly rebel against if my very act of rebellion is utterly contingent on the universe: I would have no choice but to rebel. Any self-made (and non-rational) ‘purpose’ I conceived would also be devoid of freedom, and any sense of freedom would be completely undercut by my total submission to nature. In fact, the language I am using is still dualistic: I would be nothing more than a pocket of nature itself, simply doing what nature does—for I am nature. Likewise, any notion of pursuing atheism for the sake of truth suffers from the same problem, not to mention the question of why we should value truth in a non-consequentialist sense—that is, if truth is a positive value in itself. None of this, of course, proves the existence of God, but that is not my goal here. I am merely pointing out the utter absurdity of atheism, that if indeed atheism is true, and my conversion to Christianity was nothing more than another chapter in the sad tale of man’s enslavement to religion, then at least I can take solace in the fact that I had no choice to begin with, that my bowing before Christ was inevitable, and that it will not really matter once I am dead anyways. After all, shikataganai – it can’t be helped. 1 Keith E. Webb. Overcoming Spiritual Barriers in Japan: Identifying Strongholds and Redemptive Gifts. 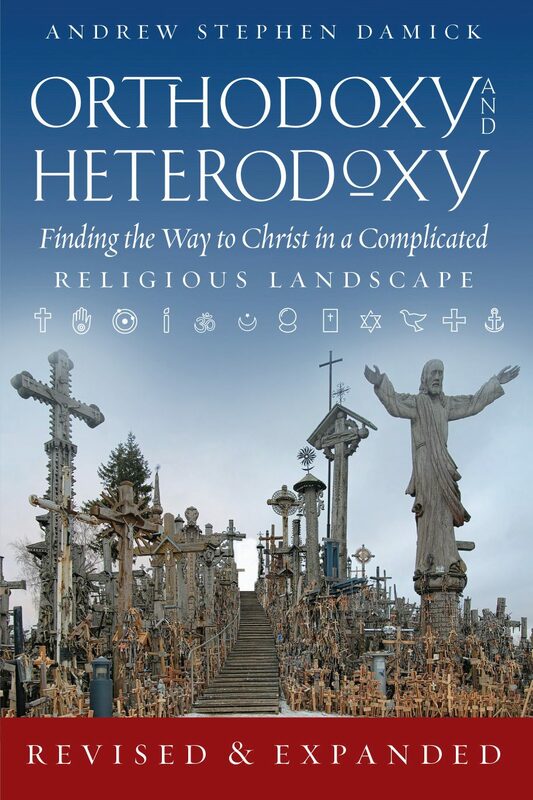 (NextChurch Resources, 1999; 4th printing 2010), 34. 2 Both Iemitsu and his father, Tokugawa Ieyasu, were responsible for the mass hunting and execution of the rapidly growing Roman Catholic movement in 16th and 17th century Japan. 3 I define materialism here as the philosophical stance that only material objects and material systems exist (i.e., there is no ‘supernatural’). Atheism itself does not entail one to be a materialist, however since most atheists today are materialists, I will be using the terms synonymously. 4 For a robust presentation of why materialism (rather, naturalism) entails both moral nihilism and epistemic nihilism, see R. M. Manion, The Other Side: Metaphysics and Meaning. November, 1993. 5 David Bentley Hart, Christ and Nothing. October, 2003. 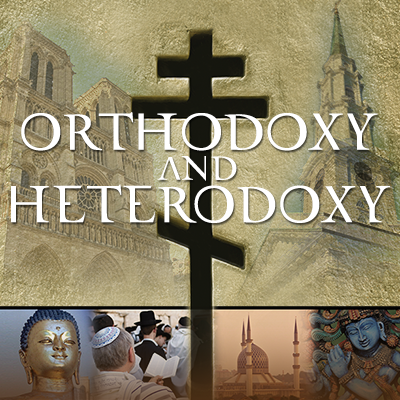 Nick Calibey is an Orthodox Christian convert who did his undergraduates studies at the University of Connecticut. He is currently the sextant at St. George Greek Orthodox Cathedral in Hartford, Connecticut, and plans on attending Holy Cross / Hellenic College for graduate studies this September. Do Atheist "Mega-Churches" create the same effect as Christian ones? 1. Ditto – great piece! I think you’re right on with stating that Harris’ denial of free will is inevitable in the face of reductionist thought. Born a Whalers fan, will die a Whalers fan. I wonder what Nick means by the term “heretical” in this context. Perhaps that the rise of a sort of political and humanistic Neo-Confucianism in the Tokugawa period marked a significant departure from the non-rationalistic and mystical spirituality of earlier centuries? I always understood Neo-Confucianism as a kind of East Asian “Scholastic” synthesis between various streams of Confucianism, Taoism, and Buddhism around the turn of the first millennium. But maybe I am thinking of this phenomenon as proper to China, at least originally, several centires before it was exported to Japan in a more secularized form? What Webb says (since its his book I’m getting it from) is that this Neo-Confucian ideology was highly materialistic in nature, specifically rejecting concepts such as heaven and hell (rather their eastern counterparts). It was largely used to restrict class movement and promote a complacent, fatalistic attitude. But ultimately, yes. It was a more secularized form. well thought out and put together. Hm, almost Calvinist meets Nihilism. It’s interesting; David Bentley Hart makes this connection in his “The Doors of the Sea”, while historian Jacques Barzun also notes the connection between Calvinism’s view of the will and its connection to scientific determinism in his magnum opus “From Dawn to Decadence”. A new word to use! And a good one at that. I can’t wait to throw this word around the office. Good Post Nick Martian. Subdeacon Ian Lazarus, you took the words out of my mouth. Sounds just like Calvinism! Thank you so much for this. This new wave of popular atheism seems to have heavily influenced a number of my close friends. Can you recommend other links or works which are useful in responding to these popular arguments against our faith? I have already ordered Hart’s “Atheist Delusions” but I’m wondering whether you can recommend anything else? My thanks once again. I don’t know if there’s any specific book per se, most of what I did was online reading. My conversion slowly started when I realized that most atheists didn’t understand the basic apologetics by men such as William Lane Craig, and yet they all ridiculed him for being an idiot (which he is not). Hart’s book is fantastic. An article that is really good is the one I listed in my footnotes from the blog energeticprocessions (also an Orthodox blog). That’s perhaps the single best piece I’ve seen that’s torn apart naturalism, and is in fact the post that mine is based upon. I didn’t read too many books since there was just a plethora of material online. For me personally, my own studying of the Shroud of Turin is what convinced me of the Resurrection, that coupled with famous apologetics on the Resurrection (from men such as William Lane Craig, N. T. Wright, Gary Habermas, etc). I hope this helps. It helps very much. Thank you so much for taking the time to reply. All the very best! Atheism is just Calvinism without the Devil; and Calvinism is just atheism with the Devil as its ‘god’. They both assert the same thing: We have no freewill, and doing good is wrong. Being an atheist does not make you a fatalist. And Harris isn’t a fatalist either. Nick, do you really think this is anything new? This is ground already covered by C. S. Lewis and Plantinga in his EAANS. Atheist philosophers have known of this argument and rejected it these many years. Stephen Law has written quite a bit in response to Plantinga’s EAANS. Personally, I don’t call theists “irrational” simply because they are theists. I think they are wrong but that by no means equates to irrationality. When I talk about “truth” or “rationality” I use criteria which are common to all of us (& without which we would not have been able to create a language which included those words). I have no need to step back from those criteria to measure them against some meta-measure in order to apply them meaningfully. You assume that all atheists are relativists. That is incorrect. I am an atheist and a moral objectivist (because I believe morals to be epistemologically objective). You do not explain how an uncaused choice is any “freer” than a caused choice. If I may leave a comment so long after-the-fact, I would like to add my agreement to your observation of the impossibility of rationality (given determinism). I would also add that the notion of ‘reason’ seems to be even further out of reach of the determinist than you suggest here (but for the same reasons). For if every mental state arises from a determined physical state, then any assumptions, beliefs, propositions or concepts that comprise the abstract CONTENT of such mental states are therefore reducible to physical causation. Why, then, should we expect to find a LOGICAL relationship obtaining between any two propositions (except by accident) that may just as well have arisen spontaneously from their discrete and physically-determined concomitants? Any attempt to formulate an argument in favor of determinism – or anything else for that matter – thus likely results in nonsense (although perhaps with the illusion of coherence).